Successive governments, encouraged by their army of bureaucrats, have always rushed to solve problems within society by legislating. This is not surprising when public opinion whipped up by media frenzy requires clear action by politicians. It is easy to say we have banned something or made an activity illegal. It is more difficult to solve the root cause of a problem, that takes time and money. So the politician will always opt for the eye-catching immediacy of a new law. Too often this knee-jerk legislating does little to solve the problem and instead leads to unintended consequences further exacerbated by over-zealous officials relishing their additional powers. In addition, you have extra costs to police the laws that have been created. Think of the small army of council inspectors that visited business premises following the ban on smoking in public places. Their sole aim to check business owners were displaying the correct number of “No Smoking” signs for the size of their premises. If you were not displaying these signs or they were considered not be in a suitable location (as in my case) you risked a fine. I have written before about the effect new licensing laws in Scotland are having on small rural communities. Now it seems the network of country shows and Highland games, a feature of the summer season in Scotland are also under threat. The volunteer organisers of the New Deer Show, probably considered one of the best in the North-East of Scotland, face spiraling costs as they attempt to comply with the new law. Hiring additional security, bar and stewarding staff. Roles which in the past would have been undertaken by volunteers. Erection of compulsory safety fences around marquees if used for evening events serving alcohol. The cost of closing roads if required on health and safety grounds. The prior selling of evening event tickets. No one can purchase tickets on the door. I have been eagerly awaiting the new Sunday night offering from BBC1, that starts on 26th July at 9pm. 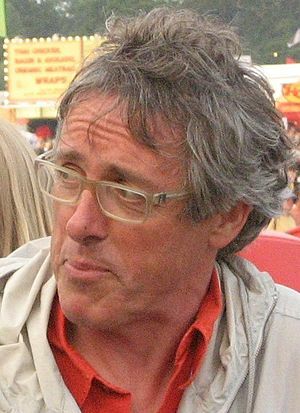 The series, River, will see presenter Griff Rhys Jones celebrate the different views, roles and aspects of rivers in the British Isles. Last autumn, the film crew were in the village with Griff to film for the first programme in the series, that saw him climb down the Grey Mare’s Waterfall and visit the Blackwater Dam to learn about the power of water. As the local community trust chairman, I had met with the series producer to help with some background information and put the programme makers in touch with people who could help make the programme. I am looking forward to seeing local lady Avril, tell Griff about the role of the river in the making of aluminium in this part of Scotland and the communities that grew up around the industry. If the recent press articles I have read about the series are anything to go by this is going to be another high-quality, fascinating offering from the BEEB. You should take a look at Griff’s account of swimming in the River Tay in the Mail on Sunday, it will bring a smile to you face even if it didn’t to his. 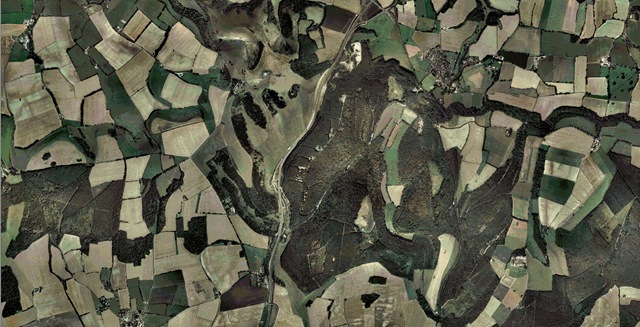 I was delighted when Natural England announced the creation of the new South Downs National Park at the end of March. Although I now live over 600 miles from the South Coast of England, as a Hampshire lad I still have a strong bond with this beautiful part of the country. The South Downs between Winchester and Chichester is where I fell in love with the natural world and spent many happy hours exploring and wandering. I have fond memories of school trips to Buster Hill and the Queen Elizabeth Country Park (on the day a mini-tornado struck the Iron Age museum), the glorious oak woodlands of Kingley Vale and the historic houses at the Weald and Down Museum at Singleton. I learnt how to use a map and compass in those hills, undertook my first overnight expedition walking from near Petersfield back to Rowlands Castle. As a teenager I would often get the train or bus out to the Downs and then walk back across the hills to my home. Many solitary hours would be spent exploring chalky footpaths and quiet country lanes as I grappled with the quandaries of “growing up”. As a student at university in London, I always knew I was nearing home when Harting Down appeared into sight from the train window and we soon plunged into darkness as the railway tunnelled beneath the Downs. The South Downs may not be as remote and rugged as the Cairngorms but in my mind it encapsulates the essence of much of rural Britain that lies on the fringes of urban and suburban life. Peter Friend writing for New Naturalists online sums up why it is such as special place. In the meantime I am already planning a few walks for when I visit in late summer. The BBC on their Breakfast news programme this morning are reporting the sad demise of 5 out of 7 Royal Mail post bus routes in the Highlands. They are late in featuring this story as the local media in the Highlands were highlighting this over a month ago. Yet the BBC are running the story with the strapline, “Could this be the last post bus for the Highlands?” That suggests there is hope of a reprieve, but the service ceases as of today. There is no hope of these vital rural services being saved, Royal Mail even refused to enter discussions with Highland Council to subsidise the service. Royal Mail bureaucrats in London made the decision, sneaked out the announcement, left little time for consultation and have gone ahead with their plans. And they are meant to be providing a public service. Once the post bus has been axed from these remote communities it’s a simple step to the removal of door-to-door delivery as well. The current recession is beginning to hurt organisations like the National Trust for Scotland. With investment portfolios taking a hit, as the stock market nose-dived and falling visitor numbers the NTS is feeling the financial pinch. As a result loss-making properties have been earmarked for closure. It’s not just stately homes or historic castles that are under threat but smaller, perhaps, less eye-catchingly chocolate box attractive properties that face the axe. These might not be immediately recognisable but they play an important part in our history. The small cottage in Cromarty, birthplace of Highland geologist Hugh Miller, is earmarked for closure. 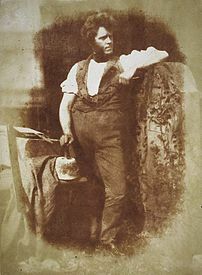 Millar’s fossil studies contributed enormously to our knowledge of both evolution and geology. In the year when we celebrate the Theory of Evolution and Darwin’s vast influence on modern science and culture it seems a travesty that an historic link is facing closure. Even the modest numbers that visit the cottage will have a beneficial effect on the village economy in Cromarty. Yet in the Homecoming Year when we should be celebrating all that is culturally and historically great about Scotland and highlighting what the tourist industry offers, we see a custodian of our heritage faced with the dilemma of cutting costs by closing some of the treasures in their stewardship. Another lifeline service for rural communities in the Highlands will disappear in April as Royal Mail axes five post bus routes serving some of the remotest areas in the country. Areas such as Applecross, Torridon and Tongue will be hardest hit by the cost-cutting exercise where no real alternative public transport links exist. Royal Mail will still need to drive along these routes in normal post vans so why the need to cut such an important service that will save so little. If they need to make savings then they should perhaps look at the remuneration of their superannuated Chief Executive, Adam Crozier. There must be enormous potential for services like these amongst the walking fraternity. 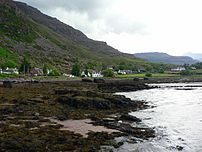 For example, the Achnasheen to Diabeg service runs through the heart of Torridon and could easily provide drop-off points for walkers wanting to undertake walks on many of the mountains in that area. Yet, there is no publicity of the service locally or within the walking community. You have to search hard on the Royal Mail website to find any mention of post buses. Just a little bit of marketing could mean additional use, allowing the service to continue for the benefit of both walkers and local communities. Our politicians, whether they sit in Holyrood or Westminster, will inevitably want to address issues that receive the greatest coverage on the tabloid front pages and the television news. That means issues like knife crime or alcohol fuelled anti-social behaviour are high on the political agenda. They are certainly serious problems that need addressing but often it is forgotten that they are predominantly problems of our inner cities or urban areas. By rushing to regulate or legislate, our parliamentarians do not think of the unintended consequences their actions will have on our more rural or remoter communities. 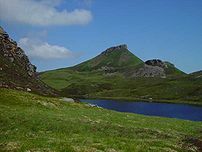 For example, as the result of the tougher licencing regulations, the isle of Raasay will have nowhere to purchase alcohol from September onwards. The islands post office has decided to end off-licence sales when faced with a massive increase from £80 to £800 to obtain the necessary licence. This is on top of a raft of regulations that require the involvement of solicitors and architects as well as substantial alterations to premises and restrictions on in-store marketing. Not only will the 150 residents of Raasay be facing a drier existence but the numerous visitors to the island during the tourist season will face a much reduced taste of Highland hospitality. No longer will they be able to pop into the local hotel for a wee dram (they haven’t had a licence for more than a year). Nor will they be able to enjoy a bottle of wine as they gaze at the evening sunset from their self-catering cottage, that is unless they remembered to bring a supply over from the mainland. It is hardly the image we wish to portray to potential visitors. The supermarket giants, off-licences and larger convenience stores will have no problem in adhering to the new regulations aimed at solving unruly city-centre drinking. For small rural shops the cost of complying will be prohibitive. There is also a potential, even more damaging, knock-on effect. Many small village shops rely on the revenue generated by selling beer and wine and any decrease in incomes from ending off-sales will lead to more shop closures. Even more pressure will be piled on to small shops when tough tobacco sales regulations are also introduced. Yet another example of the unintended consequences of coming up with a solution suitable for our cities and towns and not giving a second thought to anyone else.